As a little girl there were few animals that captivated me as much as the humble frog. Growing from tadpoles in the muck of my backyard pond to the throaty singers who lulled me to sleep many a night, they just had a magic to them I have always found enchanting. Thus, I often find myself devouring children's books featuring the amphibians. The Queen of the Frogs is definitely my new favorite. Much like the title character of my favorite Seuss story, Yertle the Turtle, our little green queen gets a bit too happy with her status. As they say, pride cometh before a fall and both children and adult readers are sure to get a kick out of the story. I must confess though, that it was the illustrations that really excited me. Soma has a style that feels a little antique and yet wholly modern, I will definitely have an eye out for more work from this author and illustrator team. Notes: ARC received through NetGalley. The frogs enjoy their life at the pond, filling their days with fly brunches and night music. 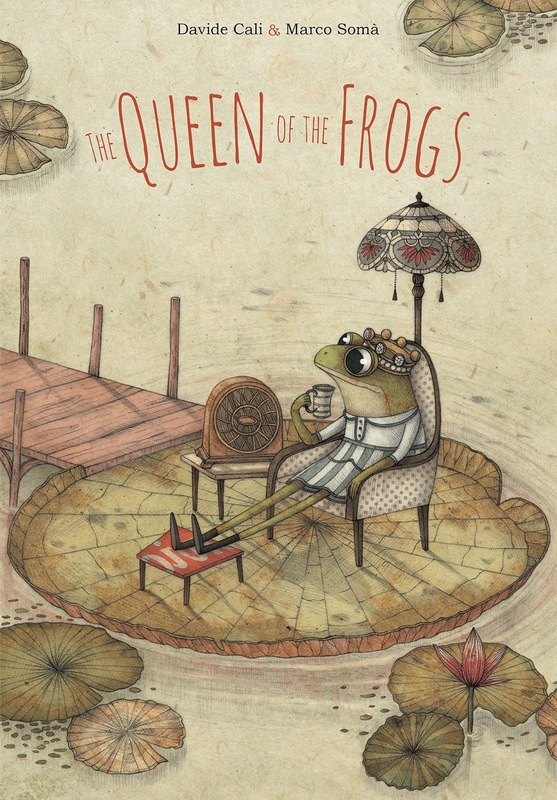 But one day a little frog finds a crown at the bottom of the pond and is instantly pronounced a queen. She starts doing what queens do: making demands and expecting others to serve her. But when her royal subjects start to question her authority, she must prove she's fit to rule—if she can. Thank you for visiting The Rhialist. Your comments are appreciated! The Rhialist (Rhianna Walker) is a participant in the Amazon Services LLC Associates Program, an affiliate advertising program designed to provide a means for sites to earn advertising fees by advertising and linking to amazon.com. REVIEW RATINGS: 5 stars - I loved it.